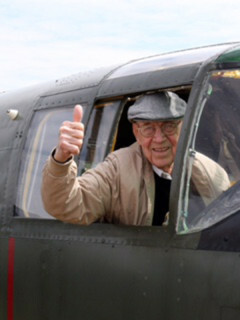 Doolittle's Raiders: A Final Toast, the story of the April 18, 1942 Doolittle Raid, focuses on Lt. Col. Richard Cole, Jimmy Doolitte’s co-pilot on the mission, who is one of only two of the original Raiders still living. 80 men went on the bombing run aboard 16 B-25 planes. Cole is turning 100 years on September 7, 2015. The new documentary emphasizes the Doolittle crew as individuals – their courage and how their incredible (and at the time considered suicidal) mission in the early days of World War II impacted them for the rest of their lives. The film will include the pilots personal stories of that day and the days after their heroic flight. The Doolittle Raid changed an entire nation’s morale following Pearl Harbor and other early defeats of the United States at the hands of the Japanese in 1941-1942. $20; free for all veterans.